As people get old, you probably noticed that you start to have wrinkles on your face and dark circles and swollen eye bags. These are normal signs of aging, because as we grow old the skin elasticity starts to decline and the subcutaneous tissue becomes more expressed. If you want to keep the beauty and youthful appearance of your skin, this great spoon massage recommended by the famous German physician cosmetologist Rene Koch may help you. This facial massage technique is quite easy. You’ll need two teaspoons, a small bowl filled with warm oil (use some essential oil like olive, sunflower or linseed oil) and a glass of cold water and some ice cubes. Once you get these things you can start with the following procedure. 01: Clean your face thoroughly removing all make up. Apply some moisturizing cream. Meanwhile, disinfect the spoons using alcohol and place them in the glass with cold water and ice. 02: Once the teaspoons are cooled, put them on your upper eye lids. Hold them for several seconds repeating this for 5 times. When the spoons get warm, switch them with cold ones. Do the same procedure with your lower lids. 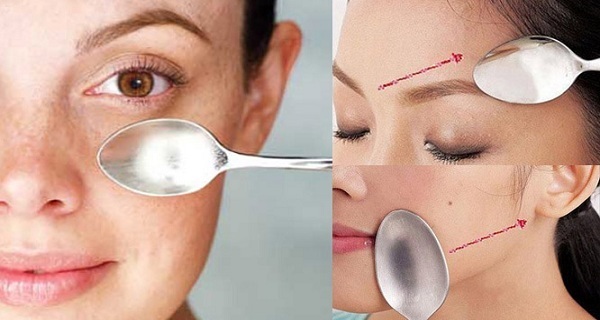 This technique is great for eliminating the swellings of eyelids and puffiness in this area. 03: Before starting with the face massage, put the spoons in the heated oil leaving them for a while. Then press them gently on your facial lines. 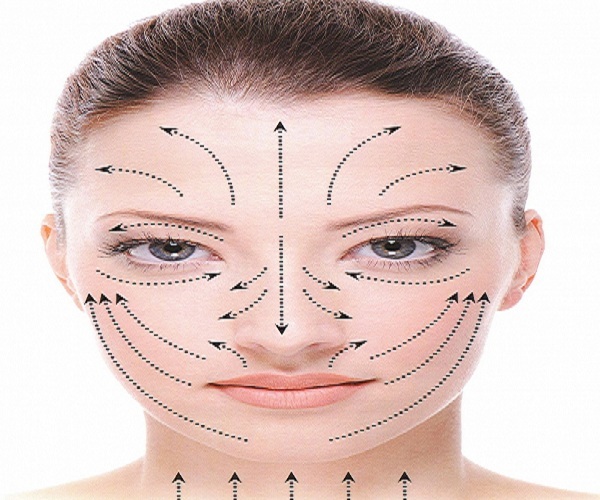 You need to go through the basic facial lines. B: Use it on the eyelids with round movements from the inner corner and back. C: Use it on the cheeks from the beginning of the nostrils to the temples – on the chin in a direction towards the temples and on the neck from its basis to the chin. Each of these movements should be performed ten times. When you notice that the spoon is not sliding on your face, you need to apply more oil on it. Once you finish the massage, use hot water to thoroughly clean your face. The maximum time of this facial massage should reach ten minutes. Start with 1-2 minutes on your first day and gradually increase the duration each day. In the end the massage should last for 10-12 minutes. You can perform this massage at any period of the day and you can continue using it as long as you want. The best effects can be expected if you use it for 10 days in a row.